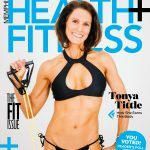 Tonya holds a masters degree from the University of Southern Mississippi in Exercise Science. She is an ACSM-certified personal trainer with over 20 years experience in the fitness industry. She has been involved with sports since the age of 14. Since 2002 she has brought her passion for fitness and customer-service excellence to Energy Fitness. Tonya loves teaching a holistic approach to fitness and nutrition while inspiring her clients to believe in themselves. Tonya is married and has two school age children that are, as you may guess, active in sports and full of energy.